11 years ago today my brotherwent to heaven. Those last few weeks we used to joke that when he came home from the hospital we would celebrate with a “Tang Toast” like they mocked on Saturday Night Live. 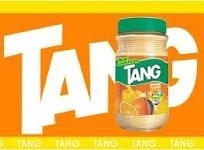 I absolutely love Tang. Come on! The astronauts drank it so how bad could it be? Unless zero gravity did something to magically transform this incredible powder nothing you can say to me can deter me from being passionately in love with Tang. I also cannot remember the last time I had it. Seriously, I guess they still make it but I have not had it in years…yet…as I type this I can taste it right now. And, I feel happy, awash in the memories I have so genuinely attached to the sweet and tangy tangerine drink. As I enter the “way back” machine it is Thursday evening in 1969 and my mother is in the bathroom spraying Aquanet hairspray on her already perfectly quaffed beehive hairdo. It’s bowling night and she is getting ready to go bowling with her sisters and her mother. My father’s car dealership closed at 9:00 pm on Thursdays and he stayed until the last prospect either signed or left. My brother was in charge! He was instructed to let my sister stay up and watch Bewitched but knew she had to go to bed immediately following her favorite show. 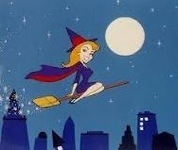 Dad would probably not get home until at least 9:30pm and that gave us about 20 minutes for T.A.N.G!!! Now, we never used a measuring spoon/scoop/cup to make our sugary elixir, no sir! We just poured it into the bottom of the glass and added water. There were times when we had so much powder in the bottom of the glass that no amount of stirring would blend it together. If he added ice cubes the sugar would plaster to the cube like glue making the ice almost slimy. All the better! We would sip away acting like kids who stole the bottle of rum, trying to finish our syrupy drink before dad got home. It was our Thursday tradition. I remember when he went away to Notre Dame missing the Tang buddy almost as much as I missed him driving me around everywhere. I have so many memories of my brother but this one brings our bond into clear view for me. Joe – do they have Tang in heaven? I’ll bet they do!